Bangladesh will next month start moving 100,000 Rohingya refugees to a remote island, officials said Tuesday, despite warnings the silty strip is prone to violent weather. Prime Minister Sheikh Hasina is scheduled on October 3 to officially open newly-constructed shelters for the displaced Muslims on Bhashan Char, a muddy islet that only emerged from the Bay of Bengal in 2006. The controversial plan is already behind schedule. Officials previously said they wanted to start moving refugees from overcrowded camps near the border with Myanmar to the island in June, before the monsoon began. The navy has fast-tracked construction of shelters and evacuation centers for 100,000 refugees and nearly three-quarters of the project are complete, a senior disaster management official told AFP. “Initially, 50 to 60 Rohingya families will be relocated in the first phase beginning next month,” said the official, Habibul Kabir Chowdhury. Bangladesh, a low-lying riverine country vulnerable to rising sea levels, is prone to tropical cyclones, especially in the Bay of Bengal between April and November. Hundreds of thousands have died from natural disasters in the last 50 years, mostly in coastal areas near Bhashan Char. The island is one hour by boat from the nearest land but violent storms make the journey by sea dangerous or sometimes impossible. The plan to relocate refugees there was revived after 700,000 Rohingya Muslims, fleeing a violent crackdown in Myanmar in August last year, poured into southeast Bangladesh and overwhelmed existing refugee camps. Rights groups have warned the silty strip is uninhabitable and prone to flooding and other natural disasters and urged Bangladesh to drop the idea. But the government pumped $280 million last November into transforming it into a habitable site. A Navy official told AFP a three-meter-high (nine feet) embankment had been erected around the entire island to make it flood-resistant. “We’re ready to receive refugees,” he said, asking for anonymity as he was not authorized to speak to the press. Secretary of the disaster ministry, Shah Kamal, said the refugees would be able to access humanitarian relief on the island and receive training in skills such as fishing. 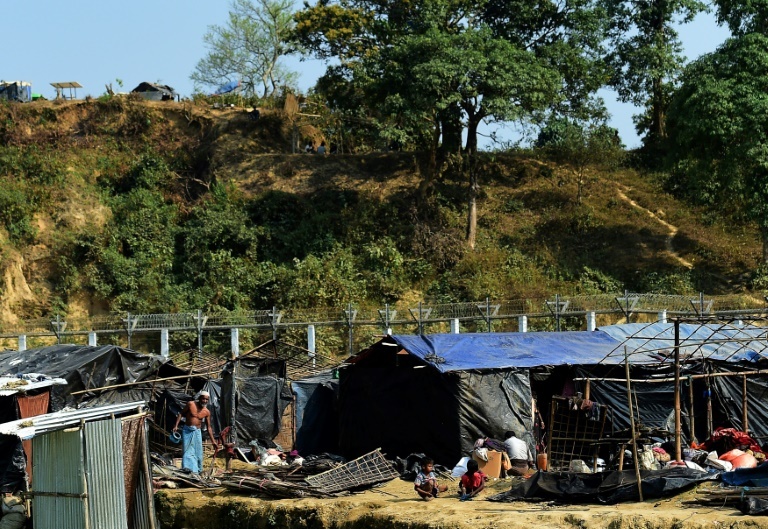 Officials say refugees will not be forced to leave existing camps in Cox’s Bazar district, among the most crowded places on earth and prone to landslides, disease, and other dangers. “If we can ensure full humanitarian assistance to them, I don’t see any reason why they won’t come to the island. We’ll convince them,” said Chowdhury, the disaster official.